The 12-time race winner in Tasmania locked his brakes heading into the circuit's infamous hairpin, drawing a red flag and the mandatory penalty of starting from the back of the grid. "Small error and costly mistake," the Red Bull Holden Racing Team man said, shaking his head in pit lane. 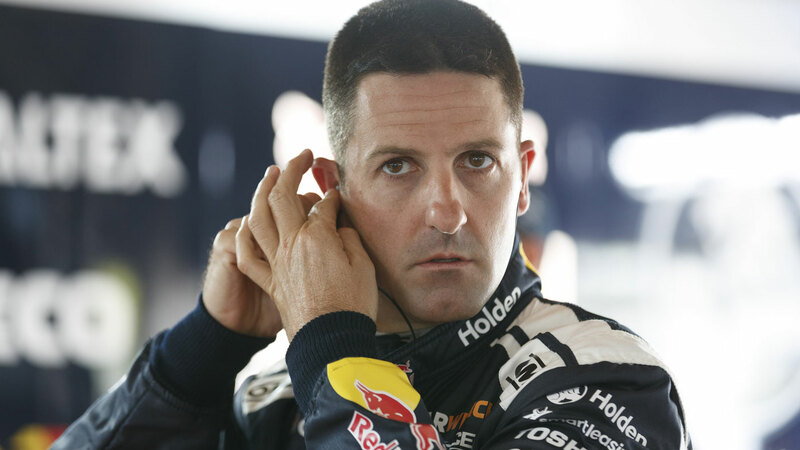 Whincup, second in the series standings, was poised to make up crucial ground on McLaughlin this weekend. He has nine more race wins than any other driver in the field at a circuit that Commodores have dominated in recent years. Unless he produces an inspired drive around the regional Tasmanian track, he'll fall further behind his championship rival. Mark Winterbottom won a first pole position since switching allegiances from Ford to Holden with a stirring drive. "It's awesome," Winterbottom said, winning a qualifying session for the first time in exactly 1000 days. "I don't care how many days it is, I got it today. "I'm a bit emotional. It's been a while. I'm really pumped." Winterbottom changed teams in the off-season to be driving a Holden for the first time in his storied career. He joined Charlie Schwerkolt's one-car Irwin Racing team after being swayed to try something new for an underdog outfit. "When you do things like this, you can see the emotion that it brings. (Irwin Racing) has never had a pole before," he said. "It's a special day, a really special day and I'm proud to be a part of it." Winterbottom's pole position was his first since winning in Townsville in 2016. He edged McLaughlin by four thousands of a second, who will start from second on the grid. Shane van Gisbergen and Fabian Coulthard make up the second row. The Saturday race is a 120-kilometre, 50-lap sprint beginning at 4.40pm AEDT.